Welcome to Pacific Media Expo! 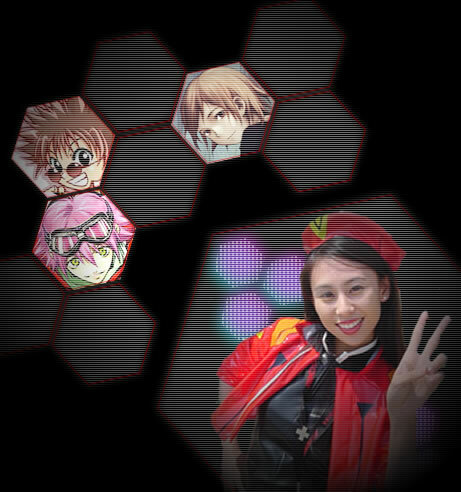 Pacific Media Expo (PMX) is a new generation of convention, for a new generation of fans! PMX brings the cutting edge of Asian entertainment to America, whether it is the hottest anime from Japan, the best bands the Pacific Rim has to offer, or the most creative fusion of sports and martial arts in Hong Kong history. PMX seeks to create an entertainment community for artists, industry, and their fans. Admire the beautiful works on display at the Gallery of Fantastic Art exhibition, and bid on "one of a kind" items in our Charity Auction. Shop till you drop in our Exhibit Hall, then relax and watch a Japanese Pro Wrestling demonstration, or see the indoor Auto Display. Bring a camera! Fans roam our halls in costume, and many of them enjoy being photographed when they are not strutting their stuff on stage in our Masquerade. Be educated and entertained in one of our many Panel or Workshop presentations. See your favorite artists and musicians in person. Hear them speak about their work, answer questions, and even offer autographs! Whet your appetite for the latest in imported Asian video, with our Anime and Asian Cinema programming tracks. Enjoy the home-made spirit of our Music Video Showing. Enter a tournament (or just work off some energy) in our 24-hour Video Arcade. Find partners for a card or board game in our Tabletop Gaming room. Compete for fame, fun, and prizes in one of our Game Shows, or sing your heart out for fun and prizes in our Karaoke room. Pacific Media Expo is hosted by the Pacific Media Association, Inc. It has been little over a month since the successful launch of Pacific Media Expo 2004. Our intrepid staff is anxious to get back to work in bringing you the Pacific Media Expo 2005. We expect to have a PMX 2004 Highlights web site for those of you who, unfortunately, were unable to attend. We hope that you will attend PMX 2005. The official Pacific Media Expo 2005 web site, with the latest information on the 2005 convention will go live on 8/15/04.